In No Caption Needed, Robert Hariman and John Louis Lucaites provide the definitive study of the iconic photograph as a dynamic form of public art. Their critical analyses of nine individual icons explore the photographs themselves and their subsequent circulation through an astonishing array of media, including stamps, posters, billboards, editorial cartoons, TV shows, Web pages, tattoos, and more. Iconic images are revealed as models of visual eloquence, signposts for collective memory, means of persuasion across the political spectrum, and a crucial resource for critical reflection. "Through outstanding studies of specific iconic images, Hariman and Lucaites address powerfully the emotional resonance and political complexity of photojournalism. They demonstrate how the collective response to photographs can reveal national and cultural character. Their discussion of these themes is a service and tribute to all those who care about visual communication. Photojournalists and citizens alike can learn a great deal from this terrific book." “I was truly astounded by the intelligence of the analyses in No Caption Needed, and the authors’ refusal to either over- or underestimate the power of these iconic images. Beyond that, Hariman and Lucaites engage in a profound reflection on the role of iconic journalistic photographs in modern democratic societies, the way they become ideological totems, or provocatives to further controversy. This book will be the starting point for any future attempt to deal with the problem of the iconic photograph and its social uses.”--W. J. T. Mitchell, author of What Do Pictures Want? "What especially distinguishes this work is the authors’ discussion of the myriad ways iconographic photographs are used, transformed, and appropriated, thereby creating a dynamic rhetorical presence that continues to influence memory, thought, and behavior." 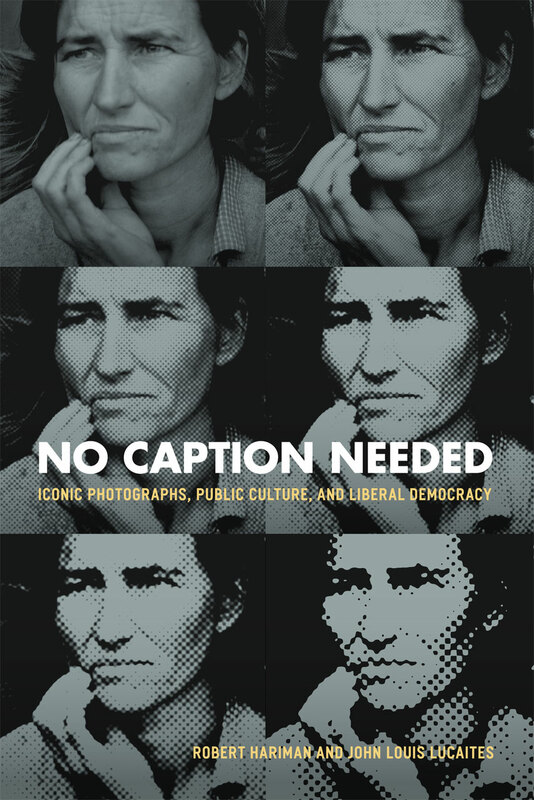 "Historians of photography will want to read No Caption Needed not only for its insightful examination of individual photographs but also for its sophisticated analysis of the role of photography in a democratic society." "[The authors] make an eloquent and compelling case, in print, for the centrality of the photographic icon to American cultural debate." "[The book] provides a dynamic and much-needed contribution to debates concerning the value of visual representation and its relationship to implicit tensions within liberal democracy. The book arrives on the heels of current efforts within an expanding field of visual studies to push for full understanding of the technological and cultural (and not strictly textual) processes through which meanings are made for images."